Status Leather Goods truly has the best men’s leather belts selection. With over 130 classics to choose from you’re sure to elevate your style with any choice. Men’s Dress Belts- These will complement your shoe’s and your look. Manufactured with only the finest leather to leave an impressionable image everywhere you travel. Dress Casual Belts- These will complement your shoes and be on trend with your look by adding an element of casual style to your business attire. 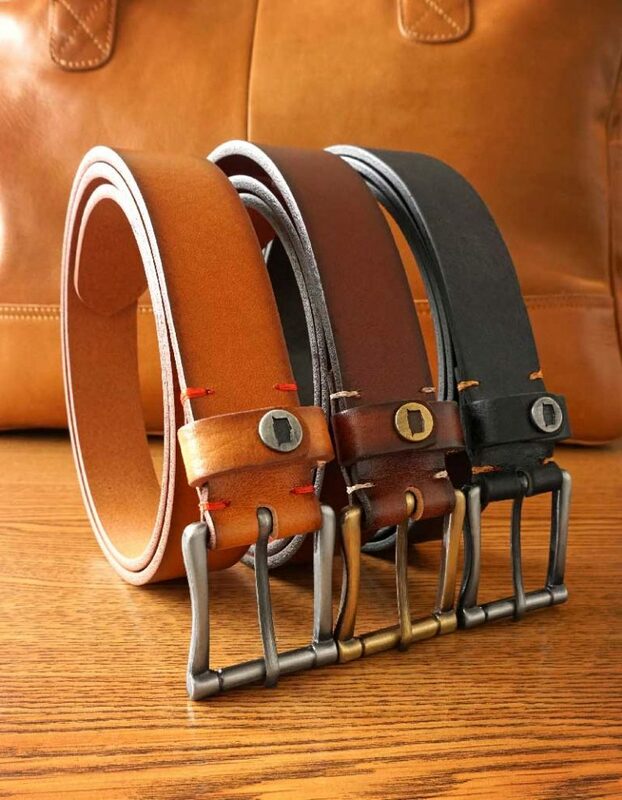 Men’s Casual Belts- These will complement your outfit by taking the casual style up a notch and creating a noticeable look with a genuine leather belt. So be it Italian, Cognac, Suede, Full Grain, Braided, embossed, saddle leather whatever your style wants or needs Status Leather Goods has the best leather belts for men no matter what your trend is. Status belts have great durability and off a distinguished look to any style. Status Leather Goods specializes in small leather goods so you can pair your belts with the wallets, bags and more. Their goal is to be your top go-to source for all your genuine leather needs. ADVAN Design offers a comprehensive list of marketing services for companies in the Northeast, Ohio area. Services include web and logo design, SEO, Social Media Management, and more. Custom marketing strategies drive each clients’ business models forward. ADVAN is grateful to work with Status Leather Goods. Status Leather is one of the latest additions to our client list. We are excited to take on this partnership and look forward to seeing where this growth will lead.